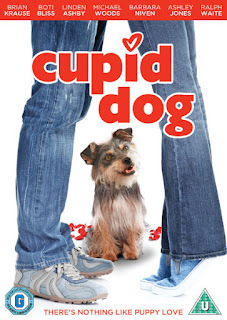 Watch CUPID DOG, the mischievous, matchmaking mutt work his magic in this heart-warming romantic comedy. Perfect comedy to get you in the mood this valentines about a dog called Gabe, who is a little unimpressed when his finds his owner Eric may be sent to England for work. Gabe doesn't want to face six months in quarantine waiting for an OK to the UK and decides to fix the situation quickly. Gabe becomes CUPID DOG! His mission: to set Eric up with his ideal date in the hope he will find love and change his mind about moving to another country. It's an amazing and funny film Gabe turns in super dog, where he gets help from a women on a TV show. He leaves flowers, jewellery and even a poem on a neighbours drive to help Eric fall in love. A fun film for all the family to enjoy.